The Baby Hamper Company loves repeat customers and our website now offers our customers the chance to collect loyalty points every single time you shop with us! 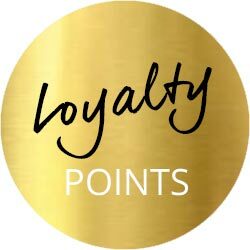 For every pound you spend with us, you will be rewarded with a loyalty point. Each point is worth £0.05. These points can be used when you next shop with us. Meaning you'll save money every time you order from us. If you buy an item from us priced at £100 we'll add 100 loyalty points to your account. These loyalty points are worth £5.00 off any future order with us. You can save as many or as few loyalty points as you like. Start saving them now, sign up for an account with us and place your first order online. Once your first order has been placed you'll be able to log in to your account and view your account details, with total points earned.